As seniors grow older, the odds of developing Alzheimer’s disease increases, due to poor blood pressure, lack of brain stimulation, and decreasing health. 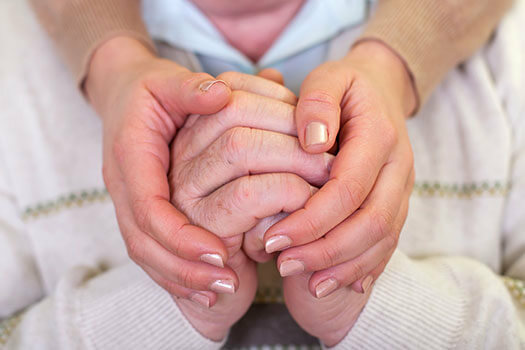 Family caregivers need to do everything possible to preserve their aging loved one’s memory and overall health. Here are some of the steps you can take to reduce your loved one’s risk of Alzheimer’s. Cooking healthy foods can lower your loved one’s risk of Alzheimer’s, among other chronic conditions. Include foods that are high in omega-3 fatty acids, such as salmon, kale, and olive oil. Omega-3 fatty acids contain DHA, which reduces the amount of beta-amyloid plaques in a senior’s brain. The buildup of the chemical known as beta-amyloid can increase the risk of Alzheimer’s. When preparing meals, you should also include turmeric, chocolate, berries, walnuts, and other brain-boosting foods that lower the risk of Alzheimer’s. If you are unable to find time to cook healthy meals for your aging loved one, consider hiring a professional caregiver. When researching agencies that provide home care, Huntington, WV, families are usually looking for flexible care plans, compassionate and highly trained caregivers, and 24/7 availability. Whether your family needs respite care to take a break from your caregiving duties or your senior loved one needs around-the-clock assistance at home, you can rely on Home Care Assistance. Make time for fun activities your loved one can do, such as brain games. In addition to board games, crossword puzzles, and smartphone apps, you can create fun, inexpensive games to play at home, such as a scavenger hunt. The objective of these games is to stimulate your loved one’s brain and keep it functioning at normal levels. Brain stimulation is the perfect way to reduce Alzheimer’s disease risk while boosting emotional health. Make sure your loved one develops good sleeping habits to stave off Alzheimer’s. Sleep quality is important for aging adults because it allows the brain and body to clear out unhealthy toxins, including beta-amyloids and other chemicals. When the brain is clogged with these toxins, seniors have difficulty sleeping at night. Deep sleep is essential for memory formation. Encourage your loved one to get at least eight hours of sleep each night and cut down on naps during the day. Exercising helps seniors increase their muscle mass and boost their brain health, which is why you need to create fun exercise routines your loved one will enjoy. Exercise can also increase balance and reduce the risk of slips and falls. When seniors fall, they could experience head traumas that increase the risk of Alzheimer’s. Therefore, it is important for your loved one to increase his or her balance and coordination. Yoga, dancing, and strength training are some of the exercises you should motivate your loved one to take on. Exercise increases cardiovascular health, which reduces the risk of Alzheimer’s in the elderly. A professional caregiver can make sure your loved one stays safe while exercising. Huntington respite care professionals can assist seniors with a wide array of daily tasks, offering family caregivers the chance to focus on other personal responsibilities or take a break to prevent burnout. Whether it’s for a few hours a day or a few days a week, respite care is the perfect solution for family caregivers who are feeling overwhelmed. Chronic stress can have a negative impact on the way the brain functions, which is why stress management is essential for aging adults. Controlling stress levels can help your loved one prevent brain shrinkage in key memory areas, as well as damaged nerve cell growth. These are things that increase the risk of Alzheimer’s disease. Teaching your loved one to manage negative emotions and avoid stressful people or situations may minimize his or her risk of developing Alzheimer’s. Keeping the brain active through socialization is necessary for older adults. There will be days when your loved one wishes to stay at home instead of getting out and enjoying the fresh air and human interaction. If your loved one stays inside and avoids socializing, he or she could become isolated over time. Seniors don’t thrive in isolation, and neither do their brains. Socializing can boost your loved one’s short-term memory, critical thinking skills, and overall mood, which can lower his or her risk of developing Alzheimer’s disease. Maintaining a healthy lifestyle is one of the best ways to prevent a mental illness. If your aging loved one needs help managing everyday tasks or encouragement to adopt healthier lifestyle choices, turn to Home Care Assistance, a leading provider of elderly care. Huntington Home Care Assistance provides professional in-home caregivers around the clock to help seniors live longer, happier, and healthier lives. To schedule an in-home consultation, give us a call at (304) 521-2909 today.